“Brooklyn’s “always fun and forward-looking” (The New Yorker) TILT Brass ensemble takes the stage for the final Pop-Up of the fall. TILT presents new works by contemporary composers Anthony Coleman, TILT co-founder Chris McIntyre, and Catherine Lamb, whose “vivid, evocative orchestral colours” (Guardian) have begun to earn her international acclaim. 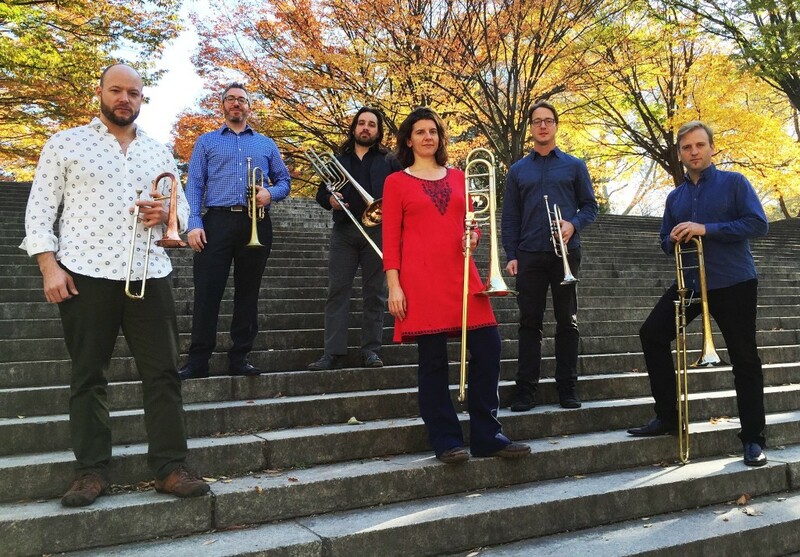 TILT will also provide their interpretations of existing works, such as an all-brass version of James Tenney’s Swell Piece and Australian composer Liza Lim’s Wild Winged One—an aria for trumpet and (aptly-named) wacky whistle.